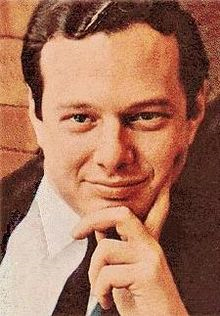 Brian Samuel Epstein (19 September 1934 – 27 August 1967) was an English music entrepreneur, and the manager of The Beatles. He also managed several other musical artists such as Gerry & the Pacemakers, Billy J. Kramer and the Dakotas, Cilla Black, The Remo Four & The Cyrkle. His management company was named NEMS Enterprises, after his family's music stores, called NEMS (North End Music Stores). Epstein paid for The Beatles to record a demo in Decca's studios, which Epstein later persuaded George Martin to listen to, as Decca was not interested in signing the band. Epstein was then offered a contract by Martin on behalf of	EMI's small Parlophone label, even though they had previously been rejected by almost every other British record company. Martin later explained that Epstein's enthusiasm and his confidence that The Beatles would one day become internationally famous convinced him to sign them. The Beatles' early success has been attributed to Epstein's management and sense of style. Paul McCartney said of Epstein: "If anyone was the Fifth Beatle, it was Brian. Epstein wasn't only the Beatles manager, he was their most trusted friend and confidant, attending John Lennon's wedding to Cynthia in the role of "best man"
The Guest-house was home to Brian Epsteins father Harry. Brian has often referred to his "Happy Days in Anfield Road". As does Liverpool's Cultural Ambassador, Joe Flannery who remembers this house from his youth. There is a relaxed "feel" here and it is enjoyed by all. 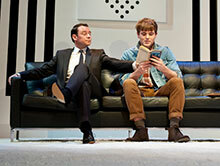 Liverpool’s Smash Hit Beatles Play Transfers To London’s West End. A statue honouring the life of Brian Epstein has been given the green light by Liverpool City Council and is to be located at the Epstein family home (now a Hotel) in Liverpool. A core group of Brian Epstein friends and fans in his native Liverpool have been working on the project and, with planning permission now granted, have set up a charity to raise the £70,000 needed to complete the project. The campaign has the full backing of the Epstein family as well as some very high profile supporters including Billy J Kramer and Gerry Marsden who have agreed to become patrons of the Charity. 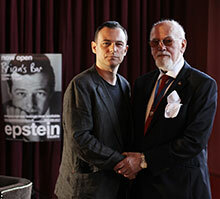 Henry Epstein, Brian’s nephew, said “You have our gratitude and the full backing of the Epstein family behind you and what you are trying to achieve with this song”. 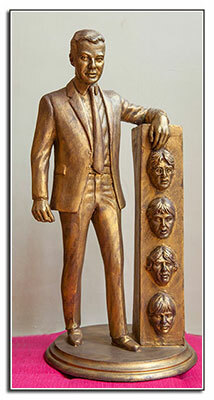 The statue itself is being created by sculptor Tom Murphy who was responsible for the striking representation of John Lennon in the airport named after him in Liverpool.